Planning for vacations in New Delhi! Capital city of India is known for its great cosmopolitan culture and friendly gesture. People from all over the world come to Delhi for tourism. It features some great tourist spots, such as the India Gate, Rashtrapati Bhawan, Qutub Minar, Red Fort and Humayaun's Tomb. Another cause for the great tourism of Delhi is the easily available accommodations. You would be provided with hotels in varied ranges, such as from cheap hotels to luxurious hotels. To make tourism more enjoyable and memorable, New Delhi is connected by air. Airplanes are regarded as the fastest mode of commuting from Delhi and to Delhi. In order to make your journey tension free, you may also opt for travel agents. There are several travel agencies available that would make your New Delhi trip comfortable and enjoyable. 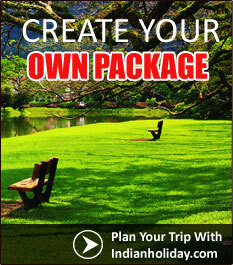 You may also go for online travel agencies and book in accordance with your budget. You need to fill in the desired requirements. This capital city of India is connected to all the major cities of world with major airlines. Two major airports of Delhi are International and Domestic airports. Indira Gandhi International airport is the international airport connecting Delhi to every corner of the world. Major flights to Delhi are Delta, British Airways, Turkish Airlines, Air Kazakstan, Air Mauritius etc. So, what are you waiting for? Do not think twice and get ready for an exciting trip to New Delhi.